Hanging out at the beach with your sibling can be some of the most fun times of your life. These times will definitely become some of your most fond memories in the future. Special thanks to our awesome teenagers from last night's sunset session for having such a fun and relaxed time. I am positive you guys will look back at these shots thirty years from now and understand why your parents felt they were so important to take the time to do now. We are so proud to be able to have the opportunity to make these memories into our art. I hope you are able to remember every single detail of yesterday afternoon's session, from the good times you had with your family to the smell of the salt air. We hope you remember every single detail. That is why we feel great professional photography is so important, it has the ability to bring back all kind of sensory experiences. So thanks guys for allowing us to work with your family, we had a great time with you, and hope you have a safe trip home today. See you next trip!!! 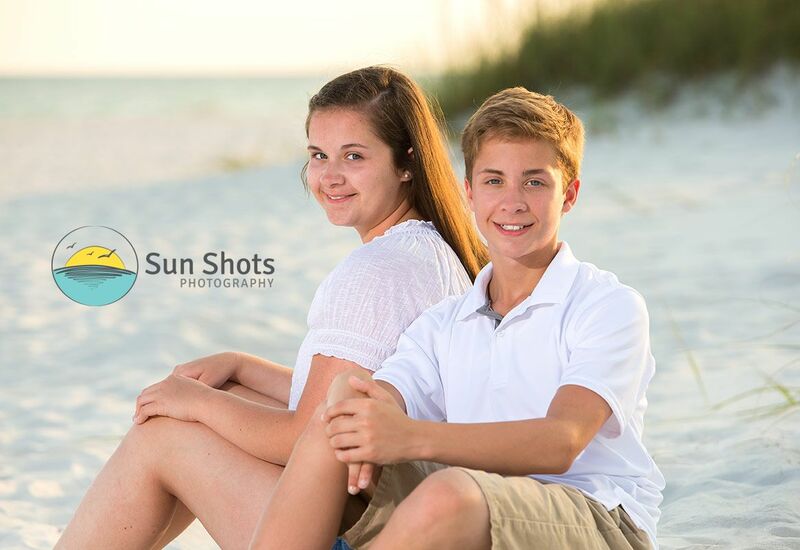 If your family is coming to the beach this summer, we would love to speak with you about your very own Perdido Key photography session. We would love the opportunity to also work with you to make some awesome memories that you will have to reflect on thirty years from now. From the sand between your toes to the seagulls chirping in the background, we want to help you remember every single detail. We want to do this with award-winning photography and professional family oriented service. We always ask our clients, "What will you remember? ", and ultimately, "What do you want to remember?"... If you choose us at Sun Shots, that answer is clear. Every single little detail! So please reach out and give us a call today. You can reach either Maggie or Ryan anytime at (251) 968-2119. Sessions are extremely limited so pick up the phone and call today.